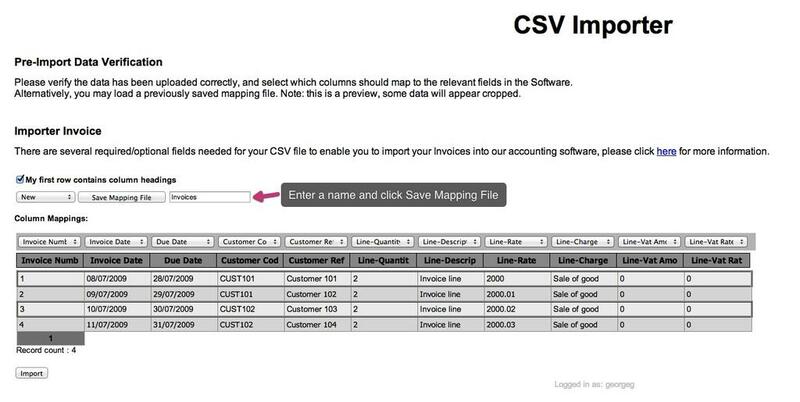 This article will talk you through the CSV mapping when importing a CSV file. 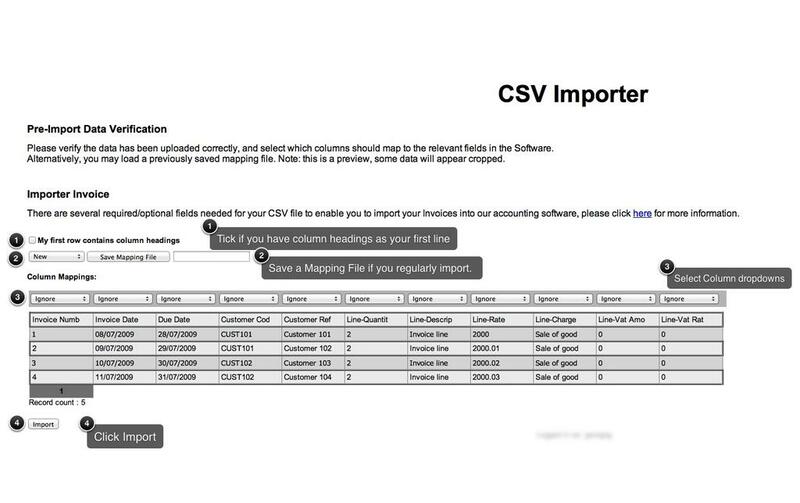 When importing your CSV file you will need to Map your columns, this is effectiely telling KashFlow what you have in your columns and where to put them in the software. Whilst this sounds daunting we have made it an accessible task. 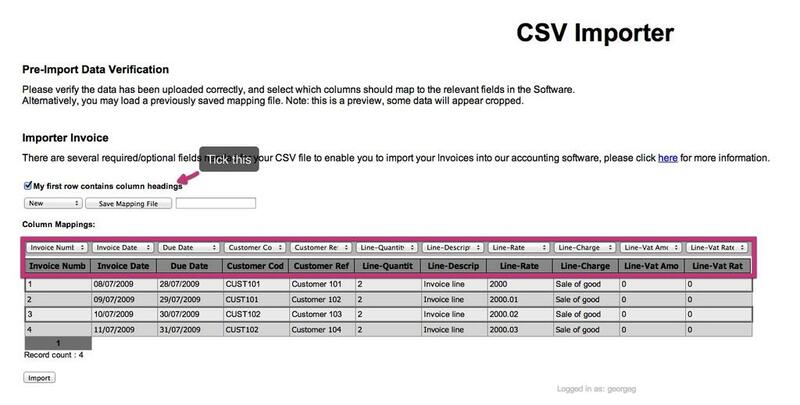 This is if you have entered column headings such as “Invoice Number” in your first line of your CSV. Ticking this option will have them ignored as values to be imported, and if they match the existing Column Mappings options, these will be pre-filled respectively. Save as “New” and press Save Mapping file. To use an existing file, just select the drop-down menu on the left and choose your mapping file. Then KashFlow will automatically fill the Column Mappings options for you, so you can import in less time.